I have an issue that I can't figure out. 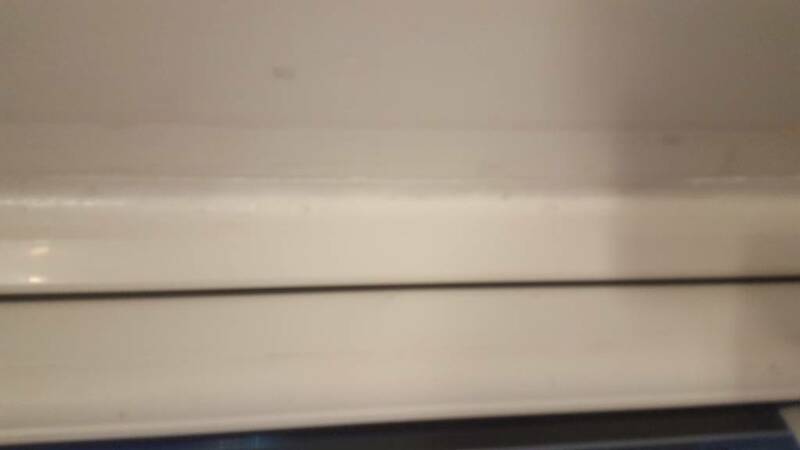 I have up to an inch of damp permanently around the sides and top of the kitchen window, on the inside edge of the plastic strip used between the window frame and wall. The sill is tiled and I have never seen water on it. The two sides are more pronounced at the top and tailing off prior to reaching a tile splashback. The damp at the top of the window is a little more patchy but stretches the entire width. I've examined the sealant and it looks good from my untrained eye. 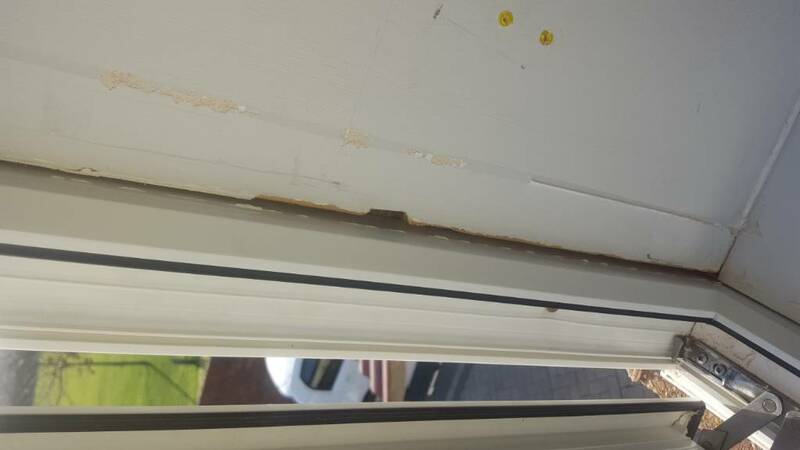 I've re-sealed the outside of the window frame about a month ago with no change, although the only bit of sealant hanging off was near the bottom and wouldn't be the culpit. I did have cavity insulation installed some time ago which I am hoping isn't the issue. Has anyone seen this before or has any ideas? I'm not sure what tradesman to call out, a window fitter, builder, damp expert? Any help appreciated. Pictures of the outside around the window and above it would be more useful. It will be coming from the outside in. OK. I'll have to wait until the weekend for some daylight. I removed the old silicon and redid it on the outside. I've also checked around the wall above the window. The window directly above it isn't showing any water. I wasn't sure what else to do. I reckon it'll be running in from the outside sealing somewhere. It appears to be thicker at the top and less as it comes down the side walls indicating it's running in from above. Yes the uploaded picture is on its side and I can't seem to correct it. I don't know why, the original picture is the right way round. Thanks for the suggestions coming in. I'll take photos of the outside as soon as I am home in the daylight. I've taken some photos of outside, hopefully they upload the right way round..
And hopefully one of the window with a bit better detail.. So looking at the pics I reckon the plastic window filler pieces at either edge of the frame and on top will be the culprit. How are the sealing on them looking? If the silicone is perished around them that could explain your leaking patches. If so strip all the silicone from them, remove them. Clean them up then rebond and reseal them. That's what I did, about a month ago and there is not the slightest change. It didn't look perished other than a bit hanging off at the bottom. I ruled that out because the water must be coming from higher up..
Who would you suggest I call to fix it? A window fitter, damp specialist, builder? Those interior trim pieces, did you remove them completely and see what's behind them? I had a similar issue witg all of the windows upstairs after them being fitted. I was getting a whistling sound on windy days. I had an inkling of the issue, but my wife insisted that it was the builders responsibility and they should fix it (rightfully so too!). Anyway after many people having a look and half heartedly fixing something and many a sleepless night, i did it myself. See my pics to see how much of a gap was left and what it looked like after sealing. After sealing around the window and using about 3 full types of good Silicone (all 5 windows) no more wind noise. Surprise surprise! The Trims should be just to hide any ugliness after window installation, but most installers rush and use is as a sealing strip.